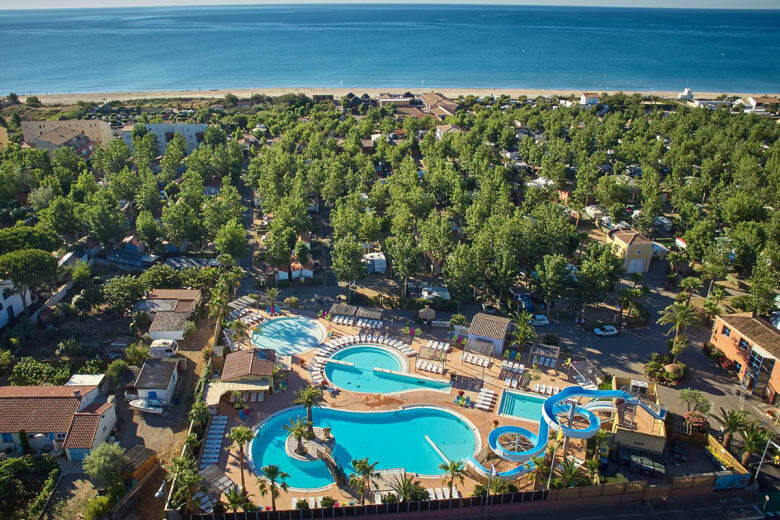 The assets of this 5-star campsite in Marseillan are more than many, but one is obvious, its proximity to the beach of Marseillan. A proximity which enables to offer its residents a direct access to the sand, the Mediterranean Sea and the nautical activities that take place there. 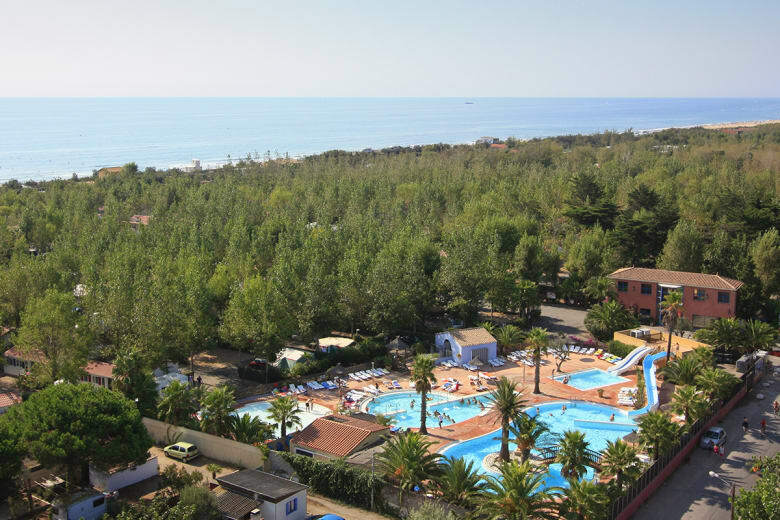 Tourists can take advantage of high quality pitches and rentals, established in the heart of a wooded and flowered property of several acres, in typical Mediterranean style. Divided into two different areas, Nouvelle Floride and Charlemagne, the establishment proposes many rentals in modern, comfortable and well-equipped mobile homes and cottages. Separated from each other by hedges, they provide peace and privacy for their occupants. At the Beach Club, everything is done for clients to feel good. There are many shops and services, to satisfy in the best possible way the needs of the clients. Within the establishment there is a mini-supermarket, a snack, a bar, a restaurant, a pizzeria, a take away service, etc. Although located in front of the beach, the Beach Club has also 2 large water parks. 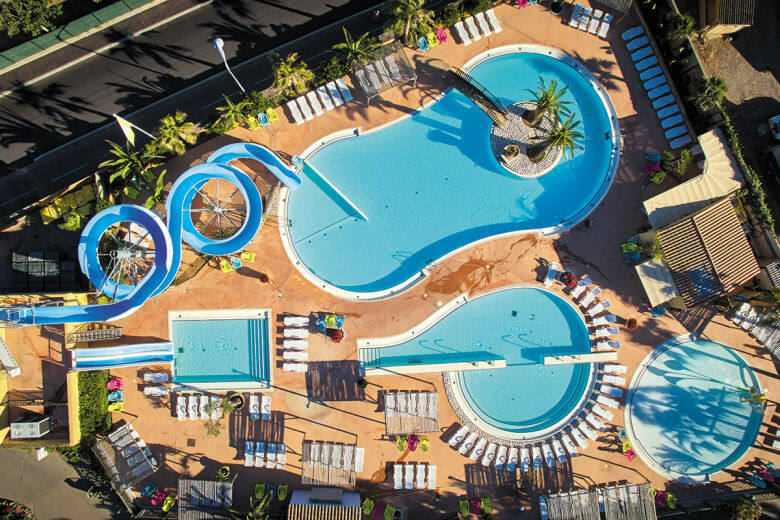 Each of them include three large heated pools with a huge sunbathing area with sun loungers and palm trees. These are 2 magnificent areas for lounging and sunbathing. In addition, these aquatic complexes have giant toboggans and water glides. Perfect to entertain children! If they want even more fun, they can join the campsite's teens and children's clubs. Sports tournaments and fun activities under the watchful eye of motivated and qualified youth leaders, a program tailored to their tastes, especially as they can easily make new friends! This luxury campsite also organises many sports activities for adults: beach volley, aguagym, fitness, aerobics, etc. Holidays are made to keep in shape! Finally, in the evening, after the traditional mini disco, there are concerts, cabarets, dance performances and magic tours to entertain the campers! The Beach Club boasts a more than ideal situation. 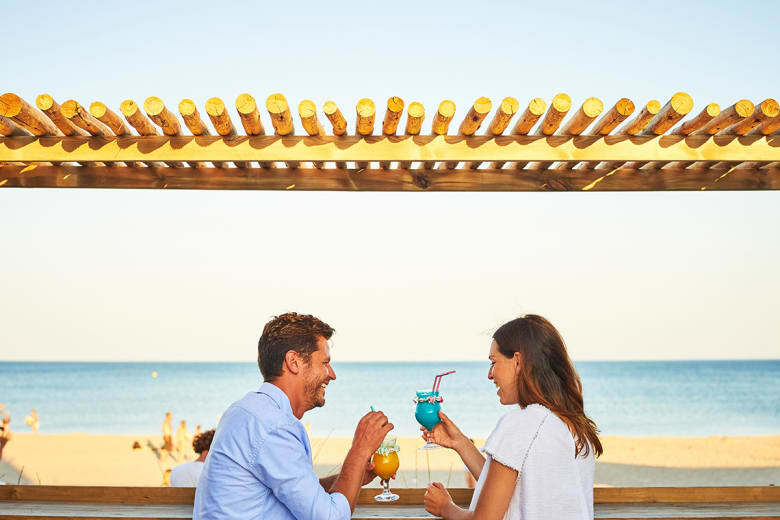 Located opposite the beach of Marseillan, it offers guests the possibility to have a direct access to the sand and the Mediterranean Sea, without having to take the car or walk through the dunes. Furthermore, the sunshine of the seaside resort of Marseillan is consequent and ensures in advance good weather for your stay during the season. The situation of the establishment is also perfect for tourists who wish to discover the important tourist sites of the Languedoc Roussillon. L'étang de Thau, a pond in which flows the famous Canal du Midi, is less than 5 kilometres from the Beach Club. The Languedoc coast has many seaside resorts. Less than 15 minutes from the campsite, there is Cap d'Agde, one of the largest seaside resorts in the region. It proposes many tourist attractions, including an Aqualand and a Luna Park. Finally, the inland offers many surprises: Cirque de Navacelles, Gorges de l'Hérault, Valley and Lake of Salagou, Abbey of Saint Guilhem le Désert, the villages of Minerve and Olargues, the City of Carcassonne, Cathar castles, etc. There are many trips to make during your stay in Marseillan!